Psoriasis is a common inflammatory skin disorder that is classified into multiple disease subtypes. The pustular variants, which are characterized by neutrophilic infiltrates, present with acute, potentially-life threatening episodes of pustulation and systemic upset (generalised pustular psoriasis, GPP) or with chronic and disabling pustulation of the hands and feet (palmar plantar pustulosis, PPP and acrodermatitis continua of Hallopeau, ACH). These are very severe conditions that are extremely difficult to treat. In the last few years, genetic studies have identified three disease genes (IL36RN, AP1S3 and CARD14) that are mutated in one or more forms of pustular psoriasis. 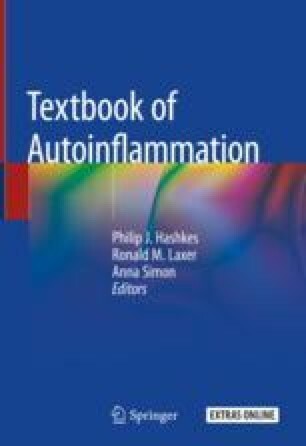 This has demonstrated a shared genetic basis for these conditions and highlighted an autoinflammatory pathogenesis, driven by abnormal IL-36 signalling. In this context, the ongoing development of IL-36 antagonists holds the promise of delivering efficient therapeutics for a group of diseases that have a profound impact on quality of life.